My name is Paul Comstock and I'm an author. Thanks to Joe and his kind offer to extend guest Blogs to anyone donating $100 to Tess Gerritsen's fight against Alzheimer’s, a very worthwhile cause to deal with a very insidious disease, I am able to bring you some of my thoughts on Joe's site. I have just released my first novel, The Technologia, self-published on Amazon as an ebook. It's a fast-paced, action thriller taking the reader on a journey into a secret, fictional organization many fear could really exist. Nanotechnology, cyborgs, advanced robotics, quantum computers, high-tech weapons, advanced medical technology and machinery, make for an action-packed read. If you'd like to check it out, it'll be free for five days to coincide with this Blog post. If you do read it and feel the desire to review it, that would be great, but only honest reviews, please. All feedback is welcomed. 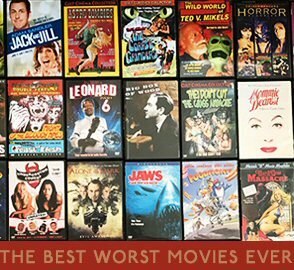 Before I go into my thoughts, I'd like to extend my thanks to Joe for this Blog and all his sage advice, and for all the great guest Blog posts as well. They are all well worth the time for any author to read. I love learning from other's mistakes and experiences, especially Joe's. While Joe can be a cantankerous blowhard at times, his posts have been full of worthwhile advice that merit consideration and thought. You can't help but like Joe. He's like that best friend who tells you to your face that you're full of crap even when it's not what you want to hear. Honest, direct advice and comments, something this world needs more of, in my opinion. His words on this Blog have helped me to adjust my mindset on the state of the publishing industry, where I see it going, and my future in it as an older, aging, aspiring author. The remainder of this post will contain some of the things I have discovered. 1. Writing gets harder as a person gets older. There's a lot of reasons for that, some obvious, while others not so obvious until they are personally experienced. Some things are universal, while others are very personal, like a person's health and the health of their loved ones. Whatever, life has a way of piling up on all of us and can make it more difficult to write creatively and proficiently, but only if a person lets it. You can make it a career at any age, through any challenge, if you want it bad enough. 2. Anyone can find the time to write. I don't know how many times I've heard of authors getting up at the crack of dawn, or before, just to get an hour or less of writing in before life intrudes. Or writing while commuting, or sneaking in fifteen minutes anywhere they can, like lunch breaks. I've also heard the tired old complaints of those who don't get it, the ones who claim they don't have the time. What they really mean is that they are not committed enough to sacrifice something else to be able to write. After all, if you can create at an average of twenty words a minute, an hour should get you 1,200 words a day, or over 430,000 words a year. That's three fairly good sized novels, or more, for some genres. There's always something that can be given up to get that hour. A TV show, a round of golf, a night out with the guys or girls, sleep (well, maybe not that). Just make the time to write. 3. Time is not infinite. I know, that sounds like a contradiction to what I just wrote, but it's not. One involves finding time on a daily basis, the other to the long term. The simple fact is that time grows shorter as we age. At twenty, the world is ahead of us, and seems long. At thirty, it's not much different, but what we don't realize is that ten years passes us by in the blink of an eye. One blink and we're thirty, the next, we're forty, then fifty and thinking of retirement and that our opportunities have passed us by. While that is far from the truth, that mindset can be a killer. Too much of the time, we are planning for our future while our present passes us by. If anyone wants to be a successful author, the time to become serious is right now, this minute, this second, no matter what your age or point in life. Don't wait for this or that to happen. Don't wait for that perfect job, or a promotion, or the kids to get older, or personal challenges to get easier. Don't wait for retirement age, thinking that'll give you time to write. The reason is that when we get one thing in line, two more things will come up to replace it. Life piles up, and time passes us by. Count on it. 4. Writing is work, and work is a four-letter word. Writing on a committed level is work. It isn't something you can do successfully without some sacrifice of time, but it doesn't have to be that much. Sometimes it's not easy, but don't give up. Sometimes it means giving up things you really want to do to make it work. It's also not something that comes quickly, no matter whether you go with traditional publishing or self-publishing. It can, and most likely will, take years. Joe can attest to that. 5. The old idea of print publishing is dying. The written word has existed for centuries and the printed word along with it. While the written word will go on for some time, perhaps forever (though I wouldn't count on it), the distribution of those words in printed form is changing and changing fast. Writing is not dying, just the way it's distributed. Looking back at history and how technology changes the way we do things, it shouldn't be a surprise. Automobiles heralded the end of the horse and buggy. Computers and printers have replaced typewriters, so why shouldn't ebooks replace printed books? It's inevitable when you think about it. The technology is here now to make it happen, and it will. When it becomes time to railroad, we railroad. 6. Since the Big Six fail to adapt their business model to the changing times, they are destined to fade away. It's too bad really, because they have a lot to offer if they'd only see the light, but I fear they never will. They have a wealth of knowledge and experience that could give them an advantage for the upcoming future of publishing. Not only are they failing to adapt to a changing world, they are alienating the majority of authors who are their bread and butter through bad contracts and lack of support and marketing. The only authors they are treating well are a handful of top authors. Unfortunately, this will only result in those authors being all they have left at some point. 7. The future is ebooks, not print publishing. It may take some time yet, but less than most people think, especially those in the Big Six. The beginning of the end is coming, and it will hinge on how long Barnes and Noble manages to stay in business, I think. That may be sooner rather than later, as the new CEO has already said they are dropping the Nook. They said they are still going to make basic readers, but not the ones most people are buying now that can do more, like the Nook Color and Kindle Fire. Barnes and Noble might surprise me by adapting, but I just don't see it happening. They have to contend with competition from Amazon and Walmart and other places where books are just another item of thousands they sell. 8. Publishers will seek out self-published authors more and more. What this means, I think, is that there will be a reversal of sorts going on in the publishing world. Publishers will slowly see submissions of quality work to them drop off. Serious authors will move away to new publishing businesses that embrace ebooks and have a different business model, or will self-publish. Because of that, print publishers will start to shop for self-published authors who are popular and sell, seeking them out rather than waiting for submissions to them. What that means is that self-publishing ebooks will actually become a better way to succeed and even get published in print if that's an author's goal. 9. If you self-publish, and you don't know how to do everything necessary to put out a quality ebook, hire those that can do it for you. Basically, invest in yourself and your work. It pays off. One of the secrets to being a successful author is to produce quality work. Just because you're not a graphic designer doesn't mean you can't hire one for your cover, or buy a great cover. 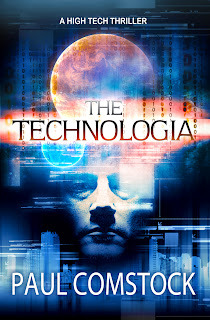 The cover for my novel, The Technologia, for example, was purchased from Carl Graves, Joe's cover designer, for the very reasonable price of $200.00. It was money well spent. The same goes for editing. It often pays to have a piece of work professionally edited, or at the very least, read by several people before publication. A good editor can turn a good book into a great one. Another thing worth investing in is the converting of the writing into ebook format. Learning how to convert say, a word document, into ebook format can be a very daunting and demanding task that takes knowledge, skill, and hours of time to do well. The difference between a well-formatted ebook and one that used one of the numerous converting programs is very obvious to readers, and affects sales greatly. Poor formatting screams poor quality, even if it isn't so. Well, that's it for my guest Blog post. There's lots more I've learned, but these are some of the things I thought might help other authors. I know, I'm preaching to the converted and most of what I wrote is something you probably have heard before, so consider it a refresher. The most important thing is to believe in yourself and your work, and never give up. Also, don't worry about your age or when you start your career. Just do it and be committed to it. Every completed quality work will generate additional income. If an author produces two novels a year, in a decade or less, it is possible to make a good living at it, but it won't happen without hard work and effort. You'll get out of it what you put into it, and like Joe says, ebooks are forever. For me, self-publishing ebooks seems like a no-brainer, but everyone has to choose their own path. All I can say is that what I see coming is that ebooks will become the preferred method of distribution. It's like a wave, and like the surfer who wants to ride it, I'd rather be riding the front of the wave rather than letting it pass me by, trying to catch up or waiting for the next one that might never come. Joe sez: It is never too late to start, but the sooner you start, the sooner you'll be on your way to a career. It is also never too late to stop. I've heard lots of writers complain about how they aren't making as much money as they want to, or about how hard it is to sell ebooks, or about the good old days of 2012 when a freebie promotion had a sales bounceback. No one is holding your children hostage, forcing you into this career. If it brings you unhappiness, quit. Life is too short to be miserable. Do something else productive with your time. If you can't quit, then stop whining. You're doing this to yourself. You need luck to succeed. You also need talent, hard work, and perseverance. But you also need the right attitude. Without the willingness to embrace the obstacles, the rough times, the hardships, and without the ability to visualize the light at the end of the tunnel, all you're going to do is make yourself and those around you miserable. Here's a big fistful of truth: You have NOT worked harder than I have. No writer alive has worked harder than me. If you really think you paid your dues, go back to the beginning of my blog and start reading. And I STILL feel that I don't deserve success. I have no sense of entitlement. I treat each day as the gift it is. Because I got really lucky. If you can't grin and bear it until you get lucky, quit. So I'll add a number 10 to Paul's list, because it is something he obviously embraces. The fact that you even have the opportunity to self-publish is a huge streak of luck. Anything beyond that is icing on the cake.